TCM is a Fortran implementation of the truncated codifferential method for nonsmooth DC programming . The truncated codifferential method is based on the concept of codifferential  and it uses the explicit DC decomposition of the objective function. The software is free for academic teaching and research purposes but I ask you to refer the reference given below if you use it. A. Bagirov, J. Ugon, "Codifferential method for minimizing nonsmooth DC functions", Journal of Global Optimization, Vol. 50, pp. 3–22, 2011. V.F. 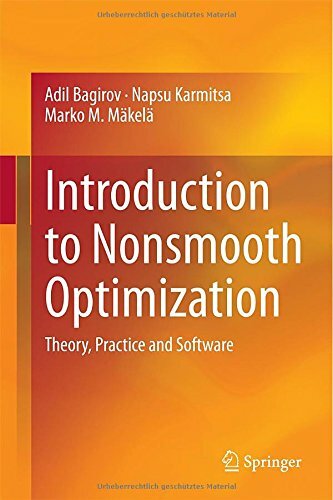 Demyanov, A.M. Rubinov, "Constructive Nonsmooth Analysis", Approximation and Optimization, Vol. 7, Peter Lang, Frankfurt am Main, Germany, 1995.